The perfect combination of vibrant colours gives a gorgeous look. This is 100% suitable for the traditional home décor. Place this beautiful carpet in your home and provide warmth and comfort to your home. It contains intricate design pattern. It has taken approx. 11-12 months to weave. 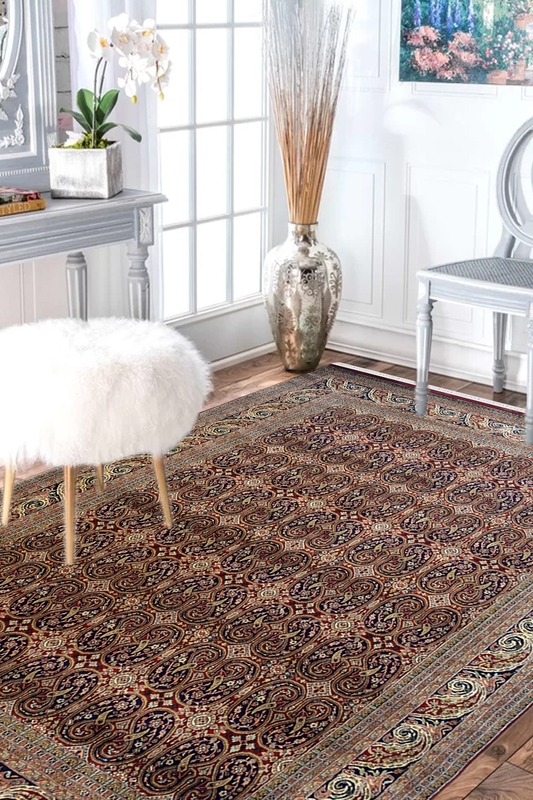 Do you want to put a Persian style in your home then find the pure Persian carpet which contains 100% Persian style? This carpet contains booti design and this design is originated from Persia many years ago or around 16th century. In past time, this design carpet was only used for the royal people. This Paisley design is inspired by the booti of Mehandi.